On a weekend last year in the Ozark National Scenic Riverways, we spent a lot of time looking at rivers and creeks and springs. The multitude of waterways that flow across the face of the earth in this beautiful area, sparkling in the sunlight as they travel along their paths is pretty astounding, and even kind of magical. There are so many inspiring natural places to see, and most of them involve water in some form. However, we discovered one that was not so sparkling and shiny. This was more of the sort to raise a person’s heart rate and work the lungs to gasping…as though a sinister danger loomed ahead. As the sky was darkening with clouds, and the forest thickened on our way down the hill, we braved a trip into the hollow to visit Devil’s Well. From the intersection of Highway 19 and Highway 106, take 19 north for about 27 miles, to Route KK. Turn left on KK and stay on it for about 2 miles. The road for Devil’s Well will eventually be on the left. Take that road, with its twists and turns and ups and downs for a couple miles, and you will arrive at a parking lot with a bathroom, next to a pond. Devil’s Well is actually a surface opening above a massive underground lake. At some point years ago, part of the roof over the lake collapsed, and on the surface above a sinkhole formed. Through the opening of this sinkhole, about 100 feet down, is the 80 feet deep, 22 million gallons of water that make up this impressive (and a little palm-sweat inducing) look into the inner workings of the earth’s plumbing. The water in Devil’s well is naturally collected from the rainfall in the surrounding area, as it flows down through the dolomite and sandstone that make up the nearby hills, and is then deposited into the Current River from the outflow of Cave Spring. How neat is it really to get to see an example of the part of the natural water cycle that we rarely get a glimpse of?!? I think this is fascinating, and it makes me wonder how many underground chambers and caves full of water are below us everyday. For every spring evacuating water from the ground into a river, there are places like this that we will never get to see, where that water collects and adds to the powerful life-sustaining flow that greets the sun eventually on its way through the valleys between the hills we inhabit. There are informational displays there that explain the function of the waterways, the cycle of everything, and the people that have explored this particular one. Really fascinating and worth the time to read. You can also see them in digital form on the ONSR website. It has an isolated backwoods feel to it, but also a warmth that makes you want to bring a picnic lunch. And maybe a fishing rod, just in case that nearby pond might be holding your dinner for you. 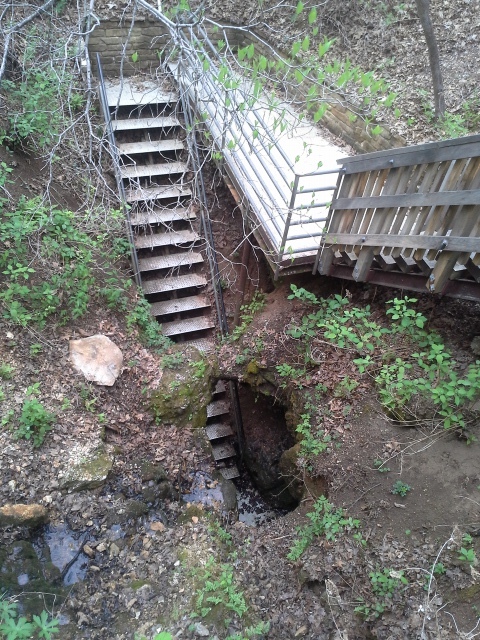 There is a trail that goes from here to Cave Spring, so you can see where the water joins the Current River. It is 4.6 miles roundtrip, and had I done better planning that day, I would have made sure to have time to hike it. I will definitely make it a point to hike it next time! The road to get into there is not for driving your camper down. My Pacifica did just fine, but there are a couple narrow spots and a couple steep spots. Consider your chosen mode of transportation. As I took pictures, it occurred to me that if I dropped my phone…I would never see it again. Leave anything that you don’t want to potentially lose forever, in your pockets. 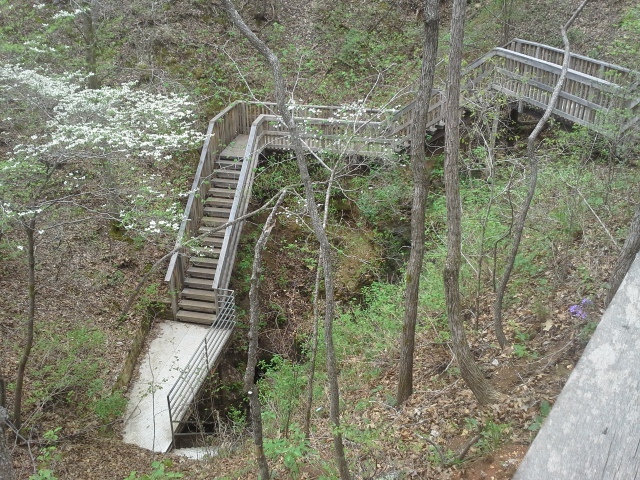 The stairway down into it is very convenient, but kind of steep and probably wet. Take small children by the hand. 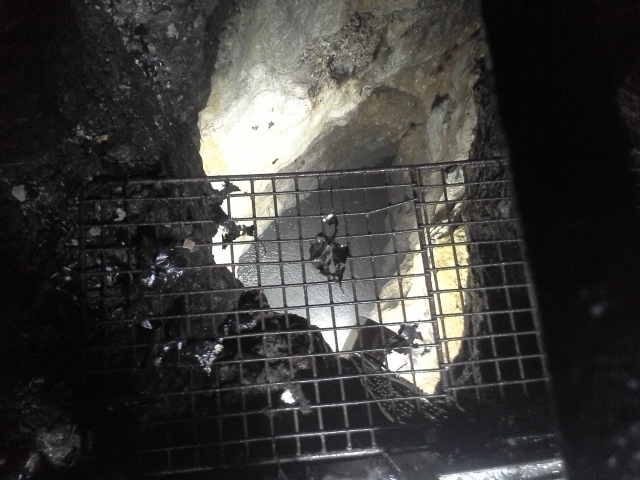 It was a frighteningly thrilling sensation to look down into this hole in the earth, as you stand above on what is essentially a slab of rock, that has caved in before to create this opening. 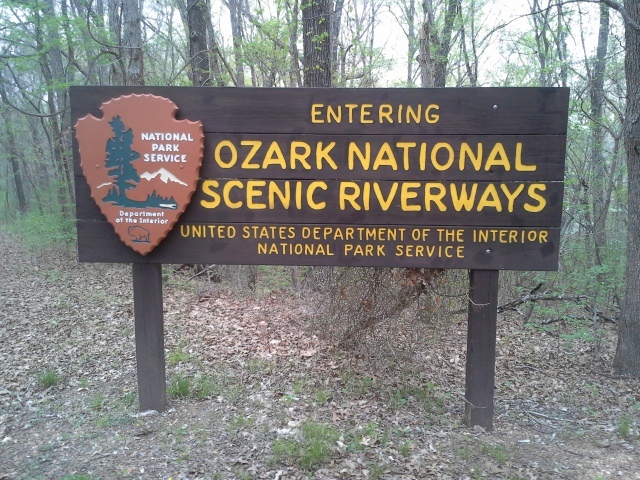 But the really amazing part was to get to see this step in the cycle that maintains life on this planet, and creates so much joy in the Ozark National Scenic Riverways. Do yourself a favor and go visit Devil’s Well, and as you peer down at the surface of the water deep below, remember what you saw, because there is a pretty likely chance that you may be in a canoe cutting through that very same water out on the river the next day. Just went yesterday to devils well. It was amazing with all the rain we have been getting. 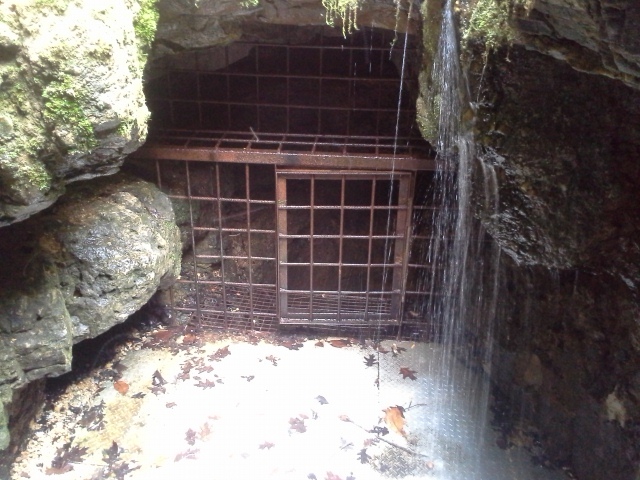 There was a waterfall that was coming down the side of the well inside into the sink hole. 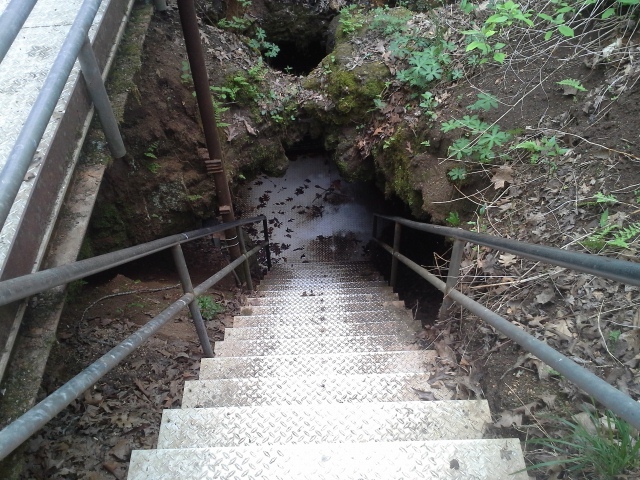 They also just fixed the stairs that were descending down into the well. 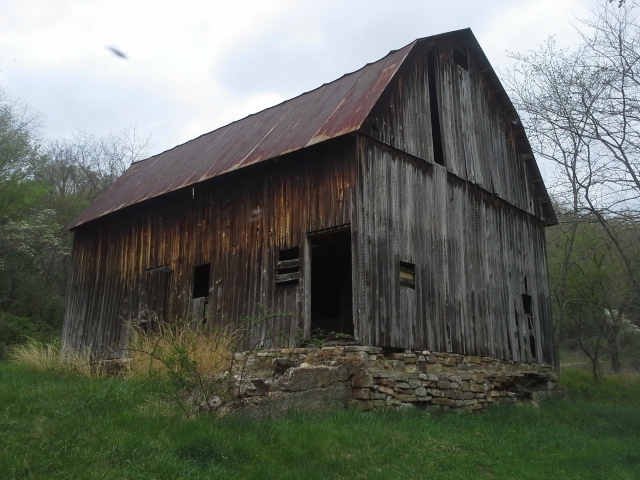 That is one of the coolest and spookiest natural places in Missouri, as far as I’m concerned. Glad you got to check it out! We’ve been to Devil’s Well three different times, this last time we finally set aside the time to hike down to Cave Spring & back. I enjoyed it immensely, but I was pretty much the only one out of our crew of 10 (4 adults, & 6 kids ages 15, 17, 11, 8, 7, & 7). The sign says 4.6 miles and approximately 3/12 hours to complete the loop. What my phone recorded was more like 6 miles, and it took somewhere between 4 1/2 & 5 hours to complete. My phone died just after passing a sign saying we had 1.1 miles left to go. Half of our crew completed the loop, while the other half went back up the way we came down. The trail is narrow in many spots, and in a few places nearly disappears altogether (especially that 2nd half). Many big spiders and huge webs in the lesser traveled places, lots of poison ivy spotted (luckily we seem to have some “immunity” to it), most bothersome was the darn stinging nettle. I’d do it again in a heartbeat, preferably not in the heat of the day (95 degrees), and in long pants, with proper walking shoes.